The law governing taxation in Indian country is a mess. The accretion of common law precedents and the general tendency of states to assert primacy over the taxation of non-Indians create absurd outcomes. This article makes the case three ways. The argument based on the law shows that particularized, fact-specific precedents create a thicket of rulings that impede business development. The argument based on facts shows that these impediments to economic development harm not only tribal economies, but state and local economies, too. And the argument based on just claims testifies to the fact that the current arrangement could hardly have emerged from the actions of willing and informed governments operating in good faith. To borrow from Adam Smith, states beggar their Indian neighbors, seeking fiscal gain to the tribes’ detriment and, ultimately, their own. We conclude by recommending actions to bring fairness and certainty to the law governing taxation in Indian country. Croman, K. S., & Taylor, J. B. (2016). 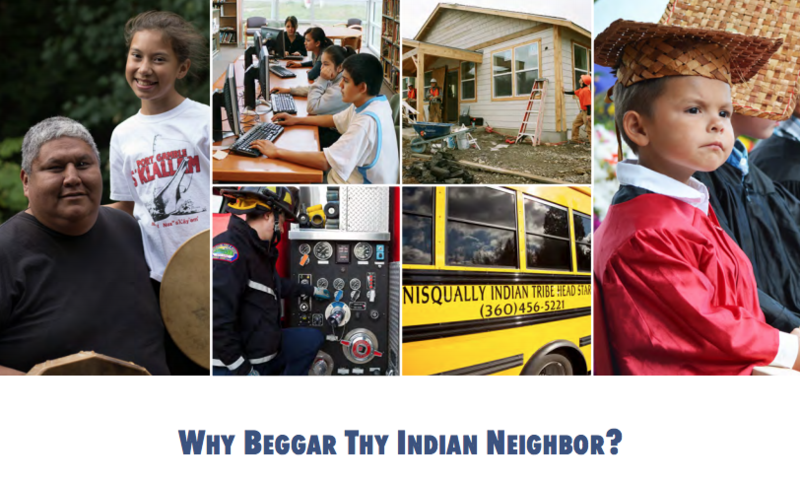 Why beggar thy Indian neighbor? The case for tribal primacy in taxation in Indian country. Joint Occasional Papers on Native Affairs (JOPNA) (JOPNA 2016-1). Tucson, AZ and Cambridge, MA: Native Nations Institute and Harvard Project on American Indian Economic Development.